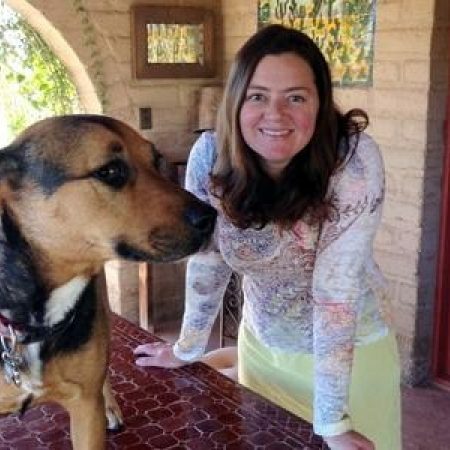 Dr. Jen Wilcox is the Director of Vet Services for Pima Animal Care Center (PACC) in Tucson, AZ. After completing a PhD in conservation genetics at Univ of Colorado, Dr. Wilcox volunteered at a local shelter during her years of post-doctoral research at Univ. of Arizona. The shelter animals compelled her to shift her professional goals, and Wilcox finished her veterinary degree at Univ. Wisconsin in 2008. She returned to Tucson as a shelter vet, and eventually became medical director at Humane Society of Southern Arizona, She moved to PACC as their first “shelter” vet 5 years ago. PACC presented abundant challenges as the largest open admission municipal shelter in Southern Arizona. Community support toward PACC shifted dramatically in 2014 when life-saving medical stories were broadcast and key programs successfully launched. Dr. Wilcox, husband Craig, and their 2 kids share their desert home with 7 dogs, 3 cats, plus canine and feline fosters.